Does Santa Really Wear Glasses? Here’s what our eyes have spied. As the final countdown to Christmas is on, Santa’s workshop is open 24/7. It’s all hands on deck & Santa, the elves & all the reindeer have no time to prance around. There are toys to build, a list to check twice – to see who is naughty & nice. 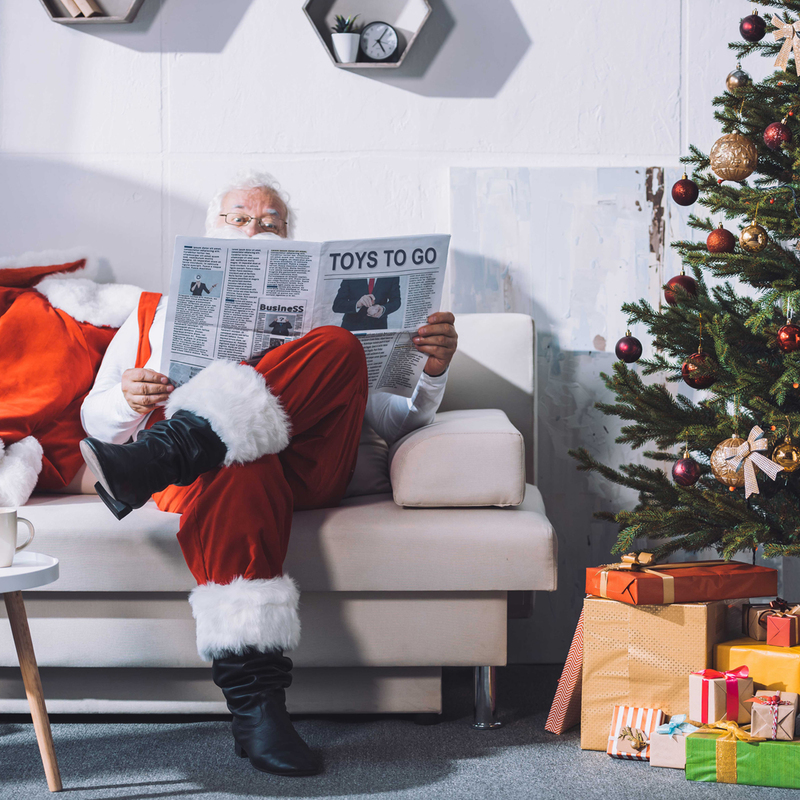 The morning starts over a cup of hot cocao & the latest edition of ToysToGo, Santa in his reading glasses skims over the latest toys. Once in the official uniform, complete with his transitional lenses, Santa is ready to start the day. He makes his way to the stables to hitch up Dancer, Prancer, Dasher, & Vixen. Outside, his transitional lenses seamlessly protect his eyes from the harmful UV rays. Back at the workshop, it’s time to roll up his sleeves and get busy. There are many toys to make & paint. Fine details that need special attention & a keen eye. His progressive lenses help Santa oversee the elves and focus on his craftsmanship without straining his eyes. Dashing through the snow, it’s almost time to go, packing up the sleigh all day, polarized sunglasses keep the glare away. As the day turns to night, the stars start to twinkle, Santa has a last check of the sleigh before putting on his night vision goggles and flying away.